An outlet has been shut down after receiving a complaint from a citizen that the store was not complying with the Kingdom’s VAT LAW. The shop, reportedly in a shopping complex in Seef area, came under provisional seizure following a raid by the concerned authorities. According to sources, the shop is a popular garment store that has several branches in the Kingdom. Reports say the shop charged VAT but failed to display VAT registration certificate as required by law. 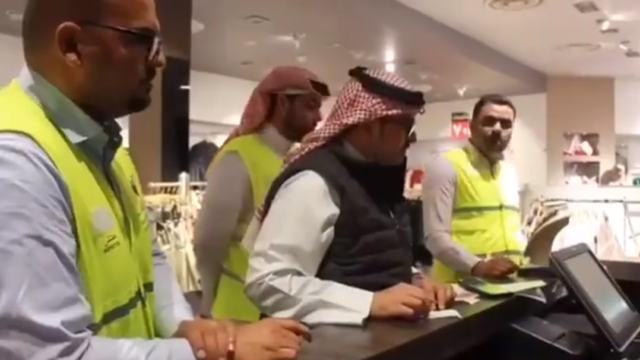 The Ministry of Industry, Commerce and Tourism confirmed the legal action against the shop and stated that the store’s implementation of VAT violated rules. “In response to the Public Prosecution Office’s orders, the Ministry of Industry, Commerce and Tourism’s (MOICT) ‘Companies Control’ and ‘Consumer Protection’ Directorates imposed a provisional seizure on a vendor levying the 5% VAT without displaying a registration certificate following a complaint raised by a citizen,” MOICT said in a statement yesterday. The statement warned that levying VAT without displaying a registration certificate is a violation to Decree-Law no. (48) of 2018 on VAT and a violation to Article 6 of Law no. (35) of 2012 that aim to enhance transparency and mitigate any unfair practices. Value Added Tax (VAT) is an indirect tax charged on selected goods and services bought and sold by businesses. The GCC countries agreed to implement VAT at a standard rate of 5 per cent. Accordingly, 5pc VAT was launched in Bahrain as of January 1st, 2019 with a few exceptions. MOICT said that it has implemented administrative and legal mechanisms aimed at strengthening consumer protection. The statement added that the authority has intensified its efforts in monitoring the performance of all commercial establishments, and is committed to reviewing the mechanisms of applying VAT during its trial period.